Applications are invited from H.S. 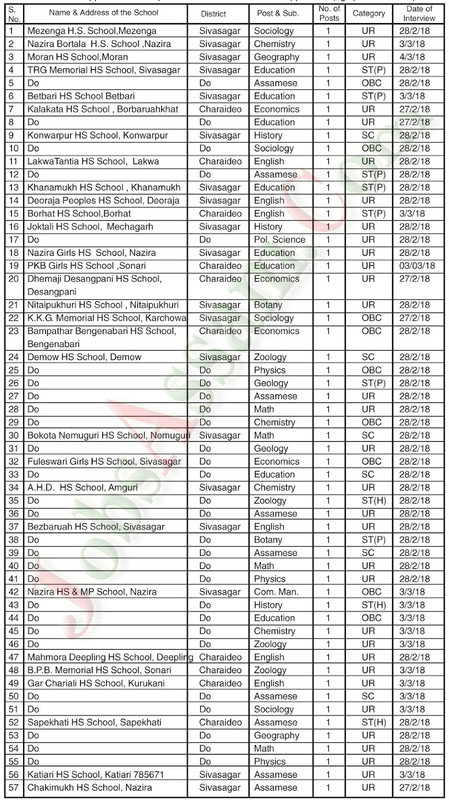 TET qualified candidates for appointment in the Post of Post Graduate teacher for filling up the following posts of Post Graduate Teachers in the following Provincialised Schools of Sivasagar and Charaideo Districts. How to Apply: The Applications in Standard Form along with all the documents from HSLC Onwards must reach the office of the Principal of the concerned schools during office hours on or before 26/02/2018. (b)NO TA/DA to will be provided to the candidates.